Join us as we spin you into a night of glitz and glamour. 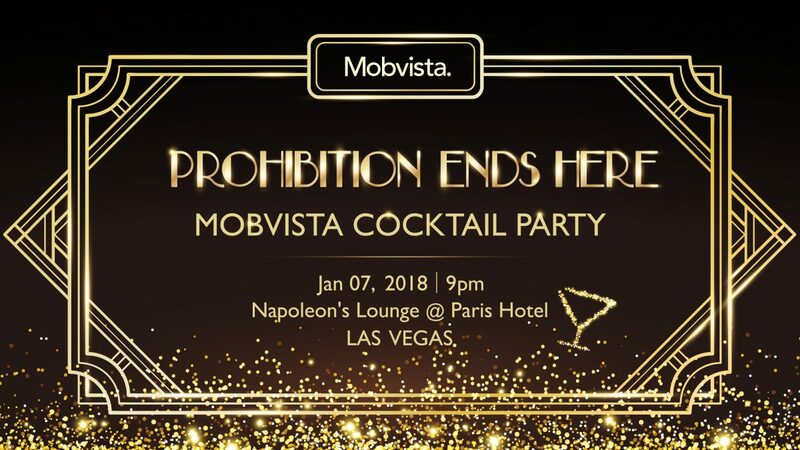 Mobvista will herald the first night of Affiliate Summit West 2018 with a GreatGatsby themed party, The Prohibition Ends Here. The party will be held from 9:00 pm to 11:30 7th January at Napoleon’s Lounge, Paris Las Vegas Hotel. Join us as we spin you into a night of glitz and glamour. You will enjoy an open bar and the sounds of 1920’s. Let’s drink and dance away the night! The party has limited entrance. Don’t forget to RSVP here to secure your spot today ! Looking forward to your appearance at the party!